To configure the settings of a plan, you need to have the Portfolio for Jira user permission. See Permissions in Portfolio for Jira to know more about plan permissions. 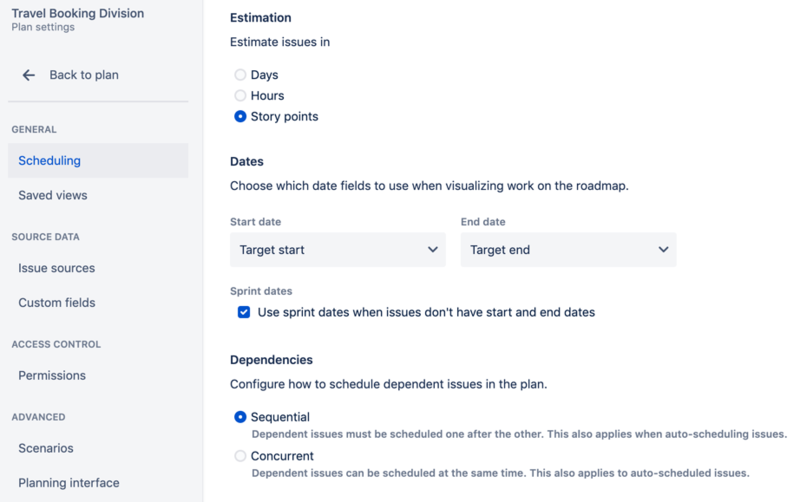 Portfolio for Jira has several settings that you can configure for your plans, so you can plan work better for your team.